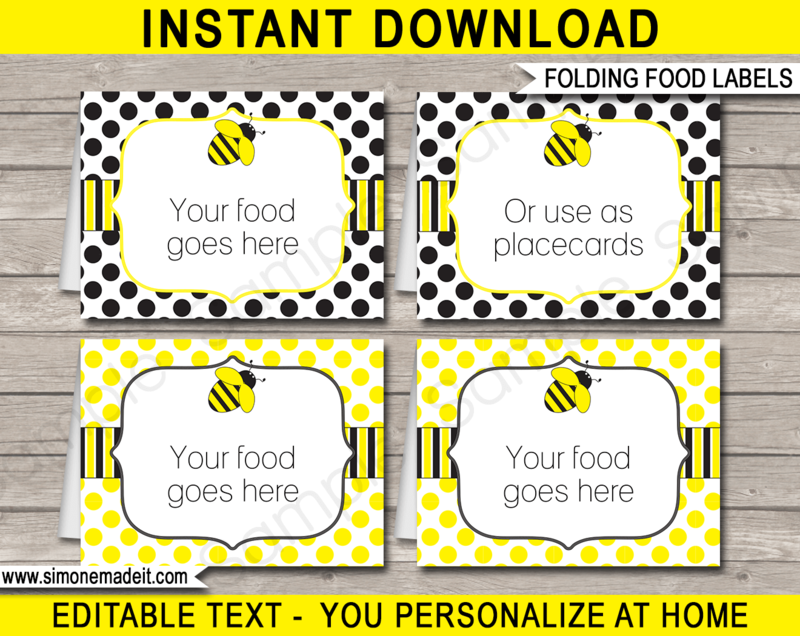 Type your own food items into this Bee Party Food Labels template with editable text. Get creative with Bee theme food names such as “Honeycomb”, “Bee Stingers” etc. Edit and print these Bee Party Food Labels as many times as you like. Just open in Adobe Reader and type over my sample text. 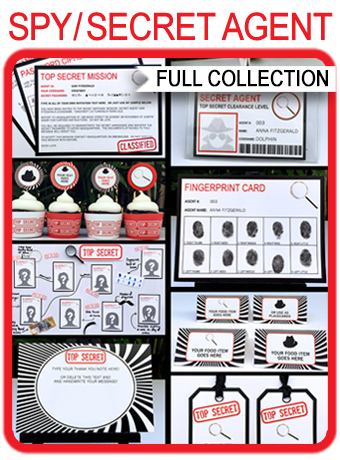 Download your Bee Party Food Labels template immediately after your payment has been processed. Trim out your Bee Party Food Labels on the provided cut lines, fold on the dashed lines and place in front of your food items.